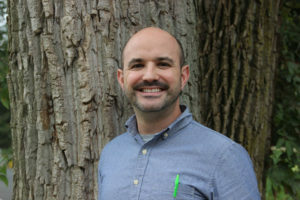 Charley Faria teaches Spanish, levels 1 – 3. Before coming to Common Ground, he worked at Suffield High School for four years, teaching all different levels of Spanish, and volunteering for a variety of student and faculty committees. Before Suffield, Charley taught in Epping, NH for four years as well. He received his undergrad degree from the University of New Hampshire, and completed his Masters in 2016 at the University of Saint Joseph. Charley is originally from Brasil, but grew up in MA, NH, and now resides in CT. In his free time he likes to play and watch soccer, travel, and spend time with his family. He can be reached at charley.faria@commongroundct.org.